Your vacation is a time to relax and get away from the hustle and bustle of every day life. What better way to unwind than by enjoying the peace and quiet of nature? If you are looking for a getaway that will allow you to enjoy the great outdoors without sacrificing luxury and comfort, the cabins in GA are the way to go. The Alpine village of Helen is perfectly positioned to provide close proximity and easy access to several state parks where visitors to the cabins in GA can truly connect with nature. Here are a few of our favorite outdoor activities for you to try and enjoy while staying with us. 1. Take a Hike - One of the very best ways to take in some fresh mountain air and get up close and personal with nature is by enjoying a day of hiking. 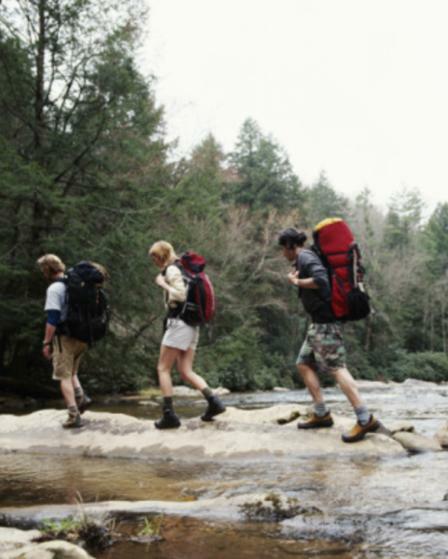 Whether you would prefer to make your own path through the woods near the cabins in GA or would like to trek down a marked path in a state park, when planning on hiking, Helen, GA and the surrounding areas will provide you with plenty of options. Consider visiting Smithgall Woods Conservation Park which features 5 miles of nature trails that are ideal for hikers of various ages and abilities. The park's visitor center loop trail will allow you to see Florida Torreya trees which are on the critically endangered list in North America. The frog pond nature trail is a fairly low-impact loop that will take you past labeled trees and interpretive signs. A more challenging hike is available on the ash creek trail which will take you across Duke's Creek and through a covered bridge. You will also have abundant hiking options within Unicoi State Park which is located only minutes from the cabins in GA. One of the most popular paths is the Anna Ruby Falls Trail which will lead you to a breathtaking double waterfall with a scenic overlook. A day trip to Amicalola Falls State Park is worth it for hikers who enjoy a challenge and would like to join the park's Canyon Climbers Club, or would like to enjoy the sights and sounds of nature while journeying down a stretch of the Appalachian Trail. 2. Try Birdwatching - Northern GA is home to a wide variety of birds that are sure to delight visitors with a passion for nature. 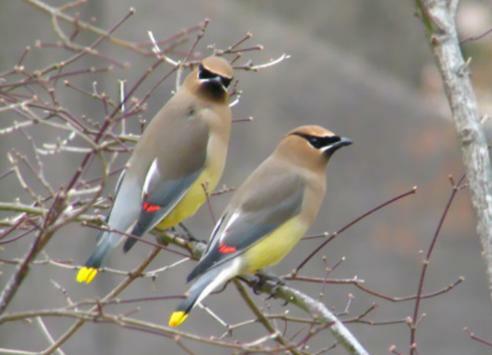 In fact, Unicoi State Park alone is known to house over 75 species of birds. Among these, you can see woodpeckers, marsh birds, songbirds, and raptors all throughout the year. You can bring your binoculars and bird guide and try to spot some of these flying beauties on your own, or you can contact the park to reserve a private tour with a guide. Check the park's event schedule as they host several birding events throughout the year. Smithgall Woods is also great for birding and features over 100 species. The park hosts a Birding by Ear program each spring. 3. Go Fishing - Fishing is an extremely popular activity in the Helen area for both the locals and visitors to the cabins in GA alike. Unicoi State Park is home to a 53 acre lake which permits fishing. You can opt to either fish from the dock or from a boat and attempt to reel in the catfish, bass, beam, and crappie that live in the lake. You may also try your hand at trout fishing in the streams that branch off and run throughout the 1,050 acre park. If you get lucky, you can bring your catch back to your cabin and cook it up for dinner! If catch-and-release fishing is more your style, you are welcome to fish for trout at Smithgall Woods on Wednesdays, Saturdays, and Sundays. 4. Enjoy a picnic - There is nothing quite like enjoying a nice picnic in nature with your loved ones. There are plenty of great locations for picnickers to try near the cabins in GA. Unicoi State Park features a large number of picnic tables located throughout the park which provide stunning views of the forest, the lake, waterfalls, and other plant and animal life. Another great option for a picnic is at Brasstown Bald - the highest point in the whole state. Located at the end of the Richard B. Russell Highway, the park has multiple picnic tables where visitors can enjoy a meal and look down upon the world below them. When you're done eating, you can either hike or take a tram to the peak where you can see four different states: Georgia, Tennessee, and North & South Carolina. Are you planning to visit the cabins in GA soon? How do you and your family plan to get close to nature during your vacation?